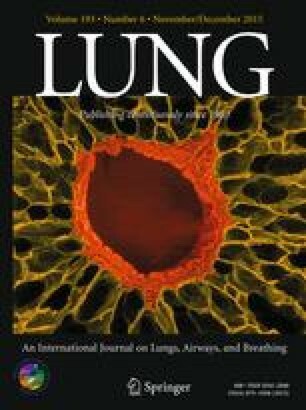 Exposure of the respiratory tract to lipopolysaccharide (LPS) induces acute local inflammation and tissue injury associated with the various deliveries of LPS. To determine potential association of local inflammatory responses with respiratory tract dysfunction, infiltration of inflammatory cells, production of inflammatory mediators, lung hyperinflation and edema were measured in Wister rats 2, 4, and 24 h after an intratracheal administration of LPS at different doses (5, 50, 500 and 5000 μg/ml/kg). Lung hyperinflation determined by an increased excised lung gas volume was significantly increased 2 and 4 h after LPS instillation and lung edema occurred from 2 h onward. Peak BAL levels of TNFα appeared at 2 h, MCP-1 at 4 h, and IL-6 at 2 and 4 h, while BAL levels of IL-1β were increased during 24 h after the intratracheal instillation of LPS. Neutrophilia in BAL fluid was noted from 2 h post-challenge. Our results demonstrate a clear dose-related change in the lung weight at 4 and 24 h, in the BAL levels of MCP-1 at 4 h, and IL-6 and IL-1β at 2 and 4 h. It seems important to understand polymorphisms of LPS-induced lung hyperinflation and inflammation. Lung hyperinflation and inflammation may be independent during the development of acute lung injury. The authors thank Senior Information Scientist, Man So, for support of information delivery.